Anthocyanins… A Blueberry’s Antioxidant Star! Blueberries are known to be a nutritional powerhouse because of their high levels of nutrients like dietary fiber, manganese and vitamin K, with just 80 calories per 1-cup serving. But did you know that they are also one of the top sources of powerful antioxidants known as anthocyanins? Scientists around the world have been investigating blueberries, largely because of their anthocyanin content, for their disease-fighting potential… and the quantity of research is growing by leaps and bounds! The word anthocyanin comes from the Greek terms anthos (flower) and kuanos (blue). Anthocyanins give fruits and vegetables such as blueberries, strawberries, blackberries, purple corn, red cabbage, red onions and eggplants the beautiful red-orange to blue-purple hues. 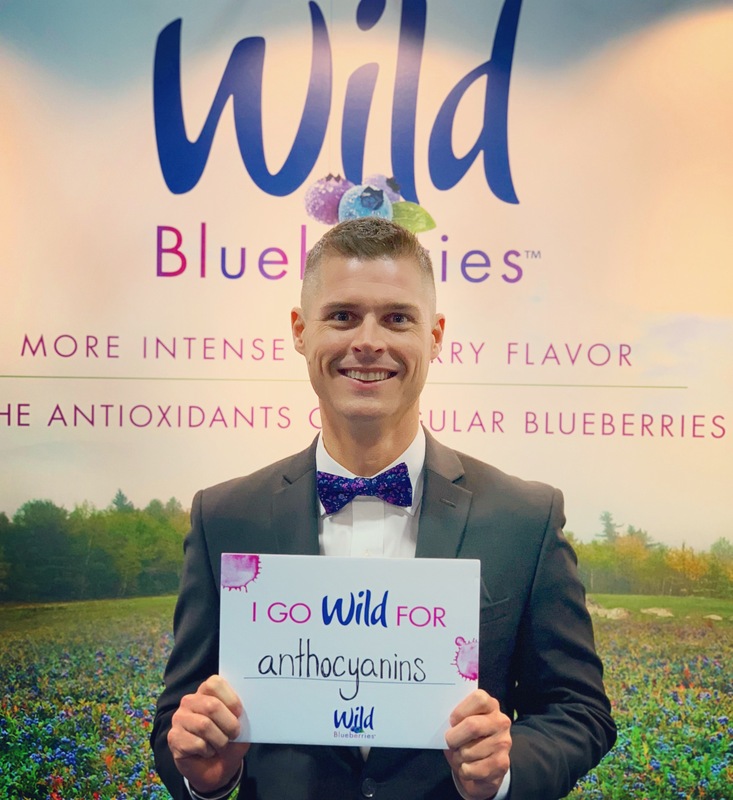 Aside from the attractive aesthetics, anthocyanins have been shown to exhibit beneficial effects on brain and eye health, prevention of cardiovascular disease, and protection from certain types of cancer. This is largely due to their antioxidant and/or anti-inflammatory properties. Antioxidants simply play a game of cops and robbers in your body, where the cops (antioxidants) can keep the robbers (free radicals) at bay to ensure peace in your body. Anthocyanins are kind of like the chief of police! It is well accepted by scientists that diets rich in colorful fruits and vegetables are linked to health, longevity, and a reduced risk for the development of many chronic diseases. A recent report of optimal fruit and vegetable consumption found that if you eat according to U.S. Dietary Guidelines for Americans, your average anthocyanin intake would be about 11 mg/day (enough to offer heart healthy benefits). One cup of blueberries or blackberries provides almost double this amount. And get this… frozen blueberries (or just berries in general) are picked ripe and typically contain more nutrients and a higher level of anthocyanins! It is important to note that the total anthocyanin content of fruits and vegetables is consumable in juices and not just from consuming raw foods. Specifically, organic fruits and vegetables will yield higher anthocyanin content and acidity over topical and industrialized (including GMO) fruits and vegetables. Thus, visit your local farmers’ market or organic grocery store. I fully agree with your comment regarding total anthocyanin content from juice versus whole fruit but disagree in regards to GMO versus non-GMO fruits and vegetables. Anthocyanin content is typically higher among freshly harvested foods versus ones that are picked half ripe and allowed to ripen on a truck. I am not aware of any credible evidence that suggests non-GMO is better. In fact, researchers at Oregon State University have engineered several varieties of fruits to produce higher amounts of anthocyanins because of their known health benefits! Believe it or not, most fruits and veges at the farmers market are GMO as well (that’s not a bad thing). But that’s a hot topic blog to come soon!